Ty Dillon will assume the full-time driving duties of the No. 13 GEICO Chevrolet in the NASCAR Sprint Cup Series for Germain Racing. Dillon follows Casey Mears, who has driven for the last seven years. "I have been preparing for this next step in my career for several years," Dillon said. "With my experience in the Camping World Truck Series and XFINITY Series, I am ready to drive full-time in the Sprint Cup Series. I want to thank Bob Germain and the entire Germain Racing organiza tion for giving me this opportunity. It will be an honor to represent a brand and sponsor like GEICO which has played such a significant role in the sport for so many years." The 24-year old Dillon has made 17 starts in the Sprint Cup Series for several different teams, including Circle Sport/Leavine Family Racing and Stewart-Haas Racing. He scored a career-best sixth-place finish at Talladega Superspeedway in May 2016 while serving as a relief driver for Tony Stewart. 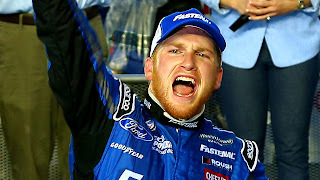 Germain Racing notched two NASCAR Camping World Truck Series Championships and two top-10 points finishes in the NASCAR XFINITY Series before making the jump to the nation's top racing series. 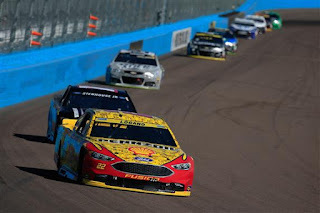 Since the inception of their Sprint Cup Series program in 2009, the team has established itself as an accomplished restrictor-plate program, while also achieving success at the series' road course events. With the switch to Chevrolet and the addition of Richard Childress Racing as a technical partner in 2014, they have experienced improvement at the challenging intermediate tracks. Team owner Bob Germain said he aims to continue making progress in the coming years. "I want to thank Casey Mears for everything he's done for our race team over the past six years," Germain said. "He's been an integral part of our growth and a great representative for GEICO and our many partners. Bringing Ty onboard is an exciting opportunity for us and we are committed to giving him all the resources he needs to reach his full potential. He's a very talented driver and first class young man. I'm looking forward to working with him, as well as expanding our relationship with RCR." RCR's partnership with Germain Racing includes technology sharing, research and development, and engineering under the Chevrolet banner. Germain Racing will also continue to utilize engines from ECR Engines. "Ty has done an exceptional job for us at RCR in every series he has raced in," said RCR Chairman and CEO, Richard Childress. "He has won races at each level and competed for championships every year. Ty is a passionate driver and has shown that he is ready for the highest level of stock car racing. I'm proud of him and I am confident he will succeed. I have a lot of respect for Bob Germain and the organization he has built, and I know he and Ty will be successful together. 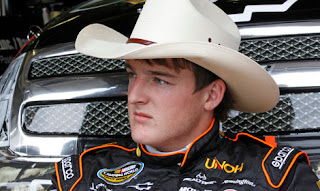 I also look forward to Ty's continued involvement in RCR's XFINITY Series program." 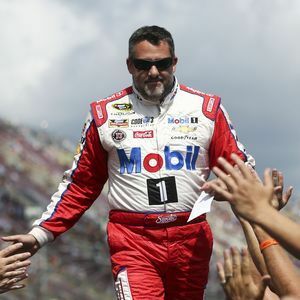 Tony Stewart took his final ride in a NASCAR Sprint Cup Series race car Sunday night at Homestead Miami Speedway, driving his Stewart Haas Motorsports Chevrolet to a 22nd-place finish in the season-ending Ford EcoBoost 400. The exit was not what Stewart or his fans would have wished. In a perfect world, the three-time Sprint Cup Series champion would have exited in Victory Lane; a winner in his final career NASCAR start. But in a 2016 campaign with relatively few competitive highlights, the Indiana native exited with a whimper, rather than a bang. 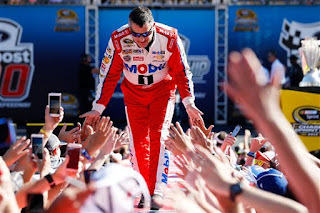 Despite his lukewarm farewell performance, however, Stewart climbed from his No, 14 Chevrolet wearing a contended smile. Burdened these last few years by sponsor commitments, legal entanglements and injury, the driver known as “Smoke” is free to do what he wants to do going forward, rather than what he is contractually obligated to do. “This is the last one,” said Stewart Friday, vowing not to be lured back into the cockpit the way Jeff Gordon was earlier this season. 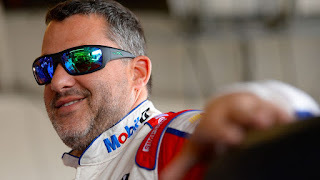 While he will not be strapping into Sprint Cup Series machinery on Sunday afternoons any longer, Stewart made it clear that he has no plans to retire as a driver. “I have a lot of race cars to have fun in,” he said, repeating his oft-stated pledge to increase the amount of time spent on dirt tracks across the country. “I would love to race the (Camping World) Truck race at Eldora. The mere mention of dirt racing brings a gleam to Stewart’s eye. He clearly relishes the thought of tossing a Sprint Car sideways through minefields of choppy red clay next season, and with career winnings in excess of $122 million, he has the financial wherewithal to do so at the very highest level. For Stewart, a return to dirt in 2017 represents a return to his racing roots; where post-race festivities are long on cold beer and short on Media Center obligations. That’s dirt racing’s gain and NASCAR’s loss. Since the day he arrived – a rail-thin wunderkind straight out of the open wheel Indy Car ranks – Stewart has served as NASCAR’s resident truth teller. Unwilling -- or perhaps incapable -- of giving anything but his honest opinion, Stewart angered NASCAR officials, track owners, fellow drivers and media members alike. He lampooned rule changes, criticized driving tactics and mocked moronic questions with equal glee. His weekly media availabilities were can’t-miss affairs, veering instantaneously from insightful to sarcastic, bombastic to belligerent. He was sometimes inconsistent in his commentary, like the day he lambasted the blocking tactics employed by drivers at Daytona and Talladega, saying “we’re probably going to kill somebody… and it could be me.” Moments later, he employed those same blocking tactics himself; blissfully ignorant of the irony. NASCAR responded by implementing strict regulations on blocking and bump-drafting. After criticizing NASCAR in the past for being over-officious, Stewart demand this season that the sanctioning body regulate lug nuts to save teams from themselves. The sanctioning body fined him $35,000 for those comments, then changed its lug nut rule less than a week later. He blasted NASCAR Chairman Brian France earlier this year for failing to attend meetings of the Sprint Cup Drivers Council. France defending his absence, insisting that drivers spoke more candidly without him in the room. Weeks later, France attended his first Driver’s Council meeting. That’s the wonder of Tony Stewart. Calling it like he sees it, come hell or high water. Stewart’s brand of heart-on-his-sleeve outspokenness has its price, however. His periodic clashes with media, NASCAR and his fellow drivers have branded him a “loose cannon” in some circles, and the 2014 incident that resulted in the death of Sprint Car driver Kevin Ward, Jr. only reinforced the renegade image in some people’s eyes. Stewart’s on-track ride has not always been smooth, either. In 2013, he suffered a gruesome compound fracture of his right leg in a grinding Sprint Car crash, missing the remainder of the NASCAR season. This season, a freak sand buggy accident left him with a fractured vertebra in his back that sidelined him for eight more races. Those incidents left Stewart with far more pain -- both physical and emotional – than the average 45-year old, and while he energized his fan base with a flashback victory at Sonoma in June, he ended the 2017 campaign left him only 15th in the championship standings, with almost as many finishes of 30th or worse (seven) as Top-10s (eight). Few drivers leave the sport at their competitive peak. Father Time is undefeated, after all. But Stewart’s decline into competitive mediocrity has been as difficult for him to accept as it was for us to watch. “I’d be lying if I said I wasn’t disappointed that I didn’t win a Daytona 500, a Southern 500 and most of all, an Indy 500,” said Stewart at Homestead last week. “But when I was 15 (or) 18 years old, I never even thought I would get a chance to race those races, let alone to win them. His 49 career NASCAR Cup Series wins place him 13th on NASCAR’s all-time list. His three premier series championships make him a guaranteed, first-ballot Hall of Famer. 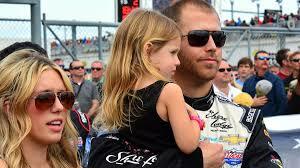 And his take-no-quarter style – both on and off the race track – will ensure that he is sorely missed by NASCAR Nation. Thanks, Smoke. It’s been one hell of a ride. Richard Petty Motorsports driver Brian Scott has announced his retirement from full-time competition at the end of the 2016 Sprint Cup Series season. "This was a difficult decision, but one that I made myself for my family," said Scott. "Racing -- and specifically NASCAR -- has been and will always be in my heart. But right now, I want to turn all my attention to my family and to be able to spend more time with them. Racing has blessed me with great opportunities, and I'm very grateful for everything that it has allowed me to do, but for me, it's time to move on. I can't thank everyone enough who helped me in my career. I would not have made it to where I am at today without their trust and commitment." 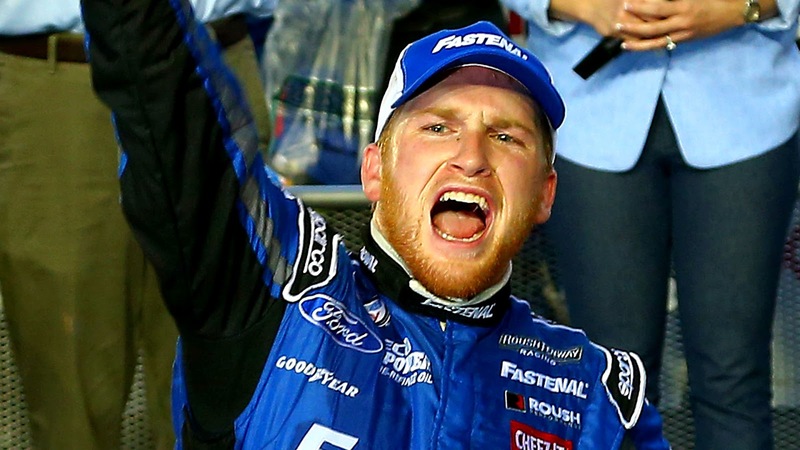 Scott began competing in NASCAR's national series in 2007, debuting in the NASCAR Camping World Series and competing full-time there in 2008 and 2009, with a win at the Dover International Speedway in 2009. From 2010 through 2015, he competed in the NASCAR XFINTY Series, finishing in the Top-10 in the championship standings in five of his six seasons. 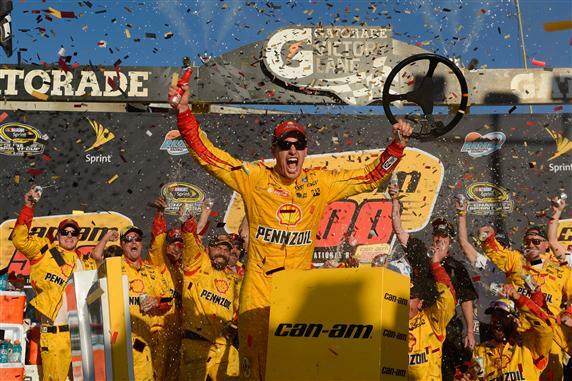 He signed to compete in the NASCAR Sprint Cup Series with RPM in 2016, with a best finish of second at Talladega Superspeedway last month. "Brian competed at a level that very few do in NASCAR," said Brian Moffitt, Chief Executive Officer of Richard Petty Motorsports. "Brian became part of the Petty family this year, and he committed himself to making our organization better. We feel fortunate to have had the opportunity to get to know Brian and wish him nothing but the best for him and his family." RPM will continue to field the No. 44 Ford Fusion in 2017 with a driver to be announced later. In a related story, Albertsons Companies has announced that they will not return to RPM in 2017. "Local sports sponsorships are an important part of our marketing strategy in communities across the country," said Albertsons Chief Marketing and Merchandising Officer Shane Sampson. "While we have decided to focus our investments elsewhere in 2017, we appreciate the work that Brian, Richard Petty Motorsports and the entire No. 44 team put forth for Albertsons Companies this year, and we wish them the very best in the future."